2012 was Queen Elizabeth II’s Diamond Jubilee, celebrating 60 years of reign. The Sovereign features a new reverse design to commemorate the Queen’s Diamond Jubilee. 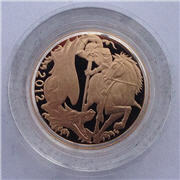 A new portrayal of St. George and the Dragon has been created for the reverse, designed by Paul Day. Queen Elizabeth II’s fourth portrait still graces the obverse, designed by Ian Rank-Broadley. 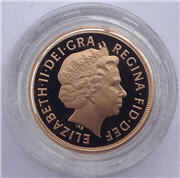 Sovereigns have a diameter of 22.05mm and are made of 22 carat gold (0.9167 fine), and weigh 7.98 grammes. They have an AGW (Actual Gold Weight) of 0.2354 troy ounces. Only 5,500 individual proof sovereigns have been issued by the Royal Mint, although 8,144 were made so others could be used in boxed sets. If you are looking for one of these to add to your collection, the sovereign should be in perfect proof condition. 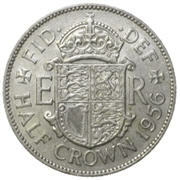 It was originally housed in a Royal Mint walnut presentation case, with a Certificate of Authenticity. In that year, 2012, standard (non-proof) Sovereigns were issued as was quarter-, half- and double-sovereigns and a £5 coin. 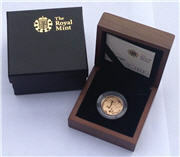 The Royal Mint also offered all the coins as a 5-coin set.